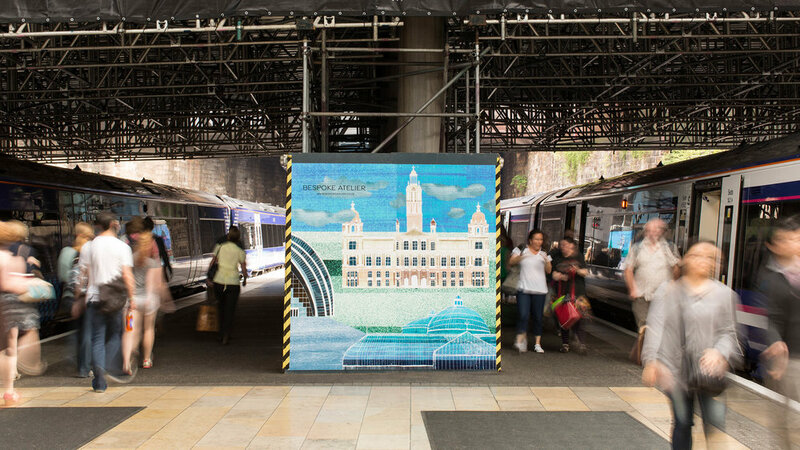 We were commissioned to create large scale murals to welcome travellers at Glasgow's Queen Street Station during the 2014 Commonwealth Games. The station was undergoing structural works and our role was to create a series of hoardings to brighten and transform the station. We created a series of hand drawn and collaged designs to create a layered and textured feel to the artwork. 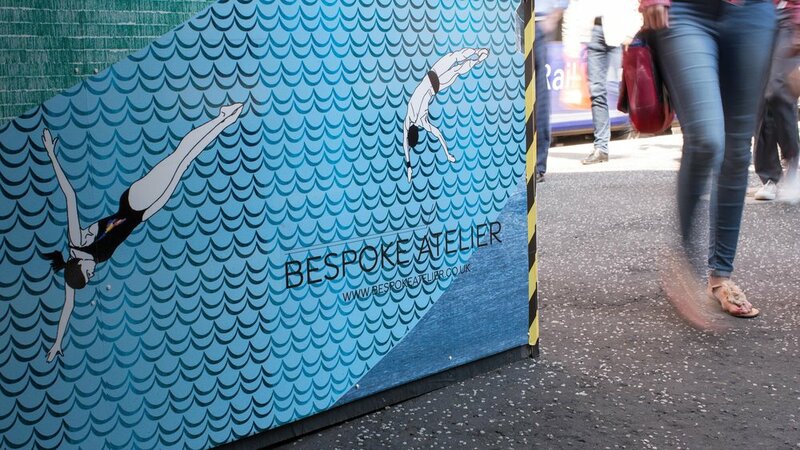 Digitally printed onto vinyl wrapped boards, the designs run along each platform greeting travellers as they enter and leave the station. The illustrative patterns reflect the variety of sporting activities that Scotland is proud to offer, alongside world-famous landmarks and cultural attractions.